ELIZABETHTON, Tenn. – The Milligan College Buffaloes charged past the No. 24 Bryan College Lions baseball team in game one of Friday’s twinbill and came up short in game two, but the split was enough for Bryan to claim the Appalachian Athletic Conference series after prevailing in the opening game on Thursday. The Lions fell 5-15 before answering back with an 11-8 win in the finale. Only two teams in the AAC have been able to best Bryan this season in a series clash, which includes currently top-ranked Truett McConnell University (Ga.) and Point University (Ga.). Since the start of April, the Lions have been on the attack, overwhelming three teams and producing an impressive 7-1 record since the start of the month. Bryan currently stands at 29-12 overall and 14-7 in the AAC while Milligan lowered their overall record to 16-20 and conference record to 7-13. Despite coming up short via run-rule in the first contest of the day, Jesus Astudillo pieced together his most remarkable performance of the year when he went 3-for-4 with two homeruns, one double, and drove in a game-high four runs batted in. Anthony Tejeda also shined in the outing, as he connected for a solo homerun on his lone connection. Destine Udombon, Jacob Justice, and Wade Weinburger were the only other Lions to tally a hit with one apiece. Astudillo put the first run on the board in the top of the second with a bomb to dead center. The Buffaloes countered with a run scored off a pair of hits in the bottom of the frame that leveled the count 1-1. In the top of the fourth, Astudillo was doing all he could to keep the Lions in the game, as he went the distance for the second time of the bout, but this time he grabbed ahold of a pitch and sent it towering over the left-field fence. Even after his effort, Bryan’s 2-1 lead was controlled only for a short time before Milligan responded with a five-run rally in the bottom of the inning. Three hits and one error later, the Buffaloes took over 6-2. Bryan had their most productive inning in the top of the sixth when Scott reached base on a wild throw and Udombon singled through the hole at short. With two runners on, Marcus Catalano reached on a fielder’s choice, but Udombon was forced out, leaving runners on the corners and two outs. Once again, Astudillo guided the Lions’ offense with a two-run double to deep left-center that scored both Scott and Catalano to cut the deficit down to two runs, 4-6. Tejeda slimmed the gap to a single run in the top of the seventh when he swatted a leadoff homerun to center. A single by Weinburger and Burris reaching on a passed ball put runners on the corners for the Lions, but a groundout for out number three ended the rally before the Lions could make any more progress. Milligan rattled off three runs in the bottom of the seventh, forced a quick three and out for Bryan in the top of the eighth, and sealed the win in the bottom of the eighth with a six-spot to cap a 15-5 decision. Ernesto Romero dropped to 5-2 after pitching the first four innings for the Lions. During his time on the mound, he surrendered six hits and six runs, four being earned, and walked two batters while striking out three. The next 3.1 frames were overseen by Trevor Ferguson who allowed the Buffaloes eight hits and eight runs with only four going down as earned runs. He also walked one and sat down four with strikeouts. The final out was closed by Dalton Ross with Milligan scraping up two more hits and one earned run. Bryan turned the tables in game two, outhitting Milligan 12-8 and doing most of their damage in a single frame. After the Buffaloes snagged a quick 2-0 lead in the first inning, the Lions feasted for a seven-run explosion in the third and never backed down. Four batters into the top of the third, Bryan had already knocked in three runs when Gabe Howell blasted off a solo shot to deep left, Scott singled to left, and Lake Burris followed up with a two-run jack in a similar location to Howell’s. Catalano kept the momentum going with a double to right-center before the Buffaloes chose to make a pitching change, but it wouldn’t matter as the Lions had already gotten in a groove. Logan Peterson entered as a pinch hitter and ripped a single down the left-field line, scoring Catalano on the batted ball. Tucker Cain was next and punched a double to right-center, leaving runners on the corners and forced another pitching change. David Scoggins was intentionally walked, and it wouldn’t pay off, as Parker Cosby dropped a two-run single to right-center. The final run of the inning was scored by AJ Rolle when Weinburger hit into a fielder’s choice, as the Lions clawed ahead of the Buffaloes 7-2 where the remained for the duration of the game. 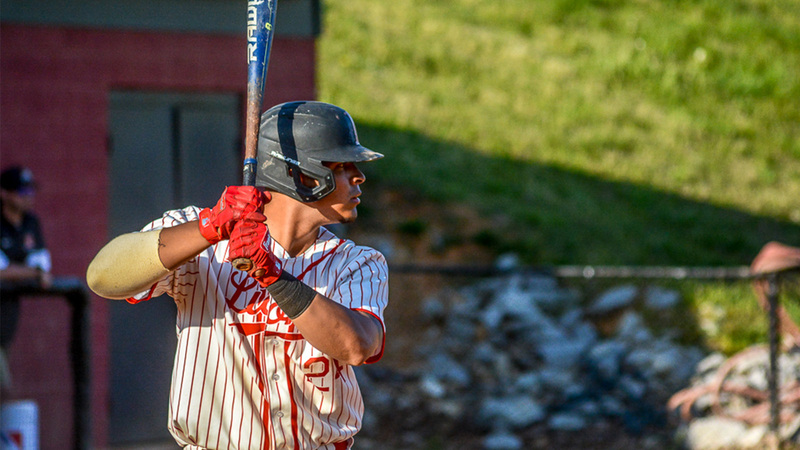 Milligan managed to chip in two runs in the third, one run in the fourth, and three more in the seventh, but Bryan’s consistent one-run scored in the fourth through seventh innings left no chance for the Buffaloes to overcome the difference. Burris scored Scott on an RBI single in the fourth. Cain was walked in the fifth and then easily made his way around the bases when Weinburger smashed an RBI triple deep down the right-field line. Burris took advantage of a mishap by Milligan in the sixth and ended up scoring on Cain’s double drilled to left. The finishing touches were put on in the seventh when pinch runner Udombon advanced to third on a single by Weinburger before capitalizing on the second Buffaloes’ error of the inning to score the Lions’ last run. The Buffaloes tried to apply pressure in the bottom of the seventh when a single and two walks loaded the bases with no outs. Milligan posted a two-run single, but Bryan eliminated the threat by turning a key double play. The Buffaloes added one more run on the play before a groundout ended it with the Lions on top 11-8. Stephen Chamblee improved to 3-2 on the season after hurling five innings and giving up six hits, five earned runs, one walk, and recording six K’s to earn the win. Ross finished the final two frames and surrendered two hits and three earned runs while walking two and firing one strikeout. All four of Scott, Burris, Cain, and Weinburger turned in multi-hit outings, highlighted by Burris’ homerun and team-best three RBIs, Cain’s two doubles and one RBI, and Weinburger’s triple with two RBIs. Howell also homered on his one hit, and he was followed by lone hits secured by Catalano, Peterson, and Cosby. Only eight games and four teams stand between the Lions and the end of regular-season play. Next in line is non-conference challenger Cumberland University (Tenn.) who Bryan already took down in mid-February at home 7-6 when the Phoenix were receiving votes in the NAIA Coaches’ Top-25 poll. The Mid-South Conference member currently owns an overall record of 25-19. Cumberland hosts Bryan in the single nine-inning showdown on Tuesday, April 16th with the first pitch slated for 2pm. To view the full 2019 Bryan baseball schedule, click here.